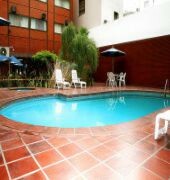 Offering an outdoor swimming pool, sauna and gym facilities the Suites are 2 blocks from San Martin square and a 15-minute walk from upscale Recoleta district. Wi-Fi is free. 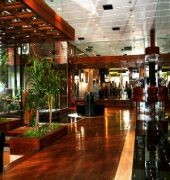 The Suipacha Suites boast an ample, modern design lobby with polished parquet and marble floors, and interior plants. There is a poolside garden and seating area decorated with red-tiled floors. 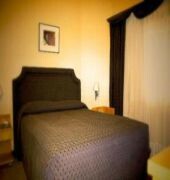 The rooms have air conditioning and cable TV. They feature elegant floor to ceiling curtains. Fully equipped bathrooms with showers are included. Rooms also have kitchenettes with microwave, minibar and dining areas. At the Suites, guests can order chef-designed dishes from Lunna Restaurant while enjoying a view of the garden. 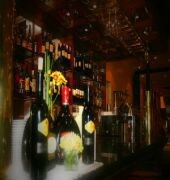 Additionally, there is a well stocked bar for drinks. 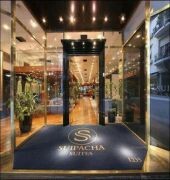 Suipacha Suites is only a 5-minute walk from traditional Florida Street, with plenty of shops, and entertainment options. The tour desk is happy to assist guests with information and car rental services.